Kevin Durant hasn't signed a long-term deal since 2010. Kyrie Irving and Kawhi Leonard both demanded trades when they grew unhappy during their current long-term deals. Kevin Durant and Kyrie Irving will both be unrestricted free agents this summer. All three have also been willing to leave significant guaranteed money on the table in the past, which is part of the deal when opting to go short-term. Durant has passed on max contracts each of the past two years and did so last summer to make sure he'd be a free agent again this year. Irving voided his chance at a supermax extension with the Cleveland Cavs when he asked out. Leonard turned down a supermax extension with the San Antonio Spurs last summer, though it was offered after his trade request, when he'd already made up his mind. Once traded, both Irving and Leonard lost the ability to get supermaxes and the roughly $80 million extra it would've meant. Having control is clearly important to all three. Teams act differently when star players are free-agents-to-be. Often, there's an undercurrent to all major moves with the star's happiness being protected. How much that's worth to them might be a factor in how free agency in 2019 — and, for that matter, 2020 — plays out. It's also important to note that all three have dealt with serious injuries that have knocked them out for long periods, making short-term deals somewhat of a risk. When James started this concept in 2014, it wasn't totally about a power play. With large forecasted jumps in the salary cap in 2015 and 2016, he didn't want to be locked into a deal and pass on maximizing his earnings. It worked. Had James taken a four-year deal in 2014, as he was able to, he'd have made roughly $18 million less than he did by refreshing his contract three times in the four-year run back in Cleveland. It had the ancillary benefit, though, of keeping the Cavs on their toes. And there's no question that there was a value to that, as the team repeatedly pushed deeper and deeper into the luxury tax to surround James with as much talent as it could find. The league is projecting about a 9 percent bump in the cap for 2020 — nothing like the so-called 35 percent "cap spike" of 2016. A short-term deal this summer would likely be more about maintaining control and leaving options open than it would be about maximizing paychecks. 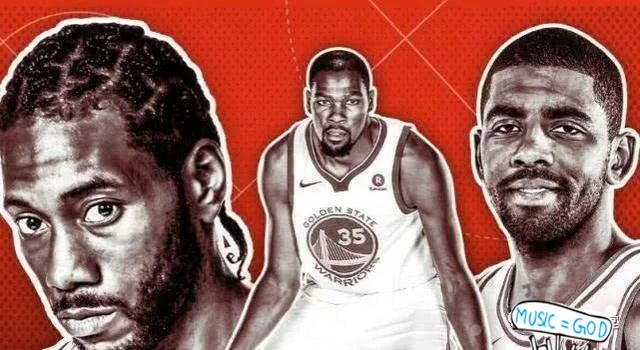 But there's something else to consider: Pending free-agency questions and speculation have been thorns in the sides of Durant and Irving all season, unnerving them. Both have staged their own version of a media boycott — Durant didn't talk to the press for more than a week, and Irving went through a period in which he'd give only terse answers — after getting irritated by questions and stories about their futures. Leonard has avoided some of the unpleasantness, though part of his strategy has been to avoid certain media requests.